Divorce upends what had been a stable family unit. Suddenly, from the perspective of the child, the house begins to crumble. It feels chaotic and stressful and uncertain. 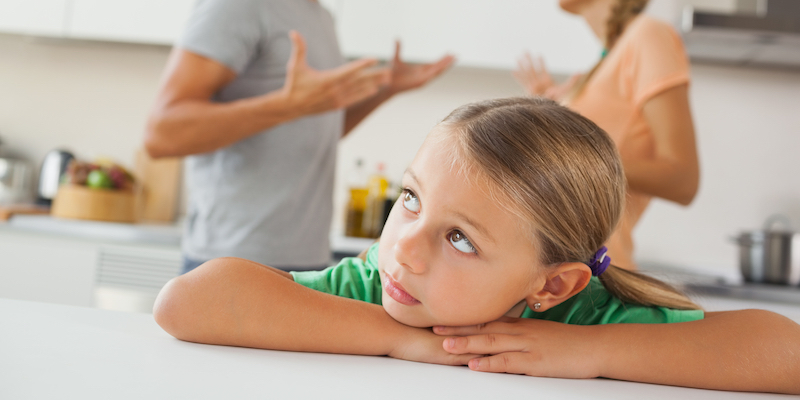 The child will have lots of questions and concerns, including whether the divorce happened because of something the child did or said. But parents have the power to give kids the reassurance they need that life after divorce will be fine, one where they will be loved by both parents, even though they live in different households. In a great article in USA Today, the author cites the “7 C’s of Resilience” developed by Dr. Kenneth Ginsburg. Building the skills of the 7 C’s will help children establish the resiliency they need to rebound from the disturbance of the divorce – and make them more able to withstand other changes in their lives as they become adults. What are the 7 C’s? Competence – helping kids realize their full capabilities in all realms – academic, social, interpersonal, personal, familial. Confidence – making sure kids have sufficient belief in their selves and abilities that they can rise to challenges. Connection – making sure kids stay connected to each parent, to significant others, to friends and family. Character – teaching kids the right traits that allow them to become kind, respectful and successful people. Contribution – encouraging kids to not stay isolated or selfish, but to be part of a greater whole and to see their role is vital as a participant. Coping – helping kids learn how to deal with setbacks and challenges and disappointments so they see that an undesired outcome is not the “end of the world” but a path to new growth and development. Control – showing kids how they have more control over their lives than they realize, and to harness this strength to find and fulfill their path in life. Working on building these 7 C’s can really help children find happiness after divorce.